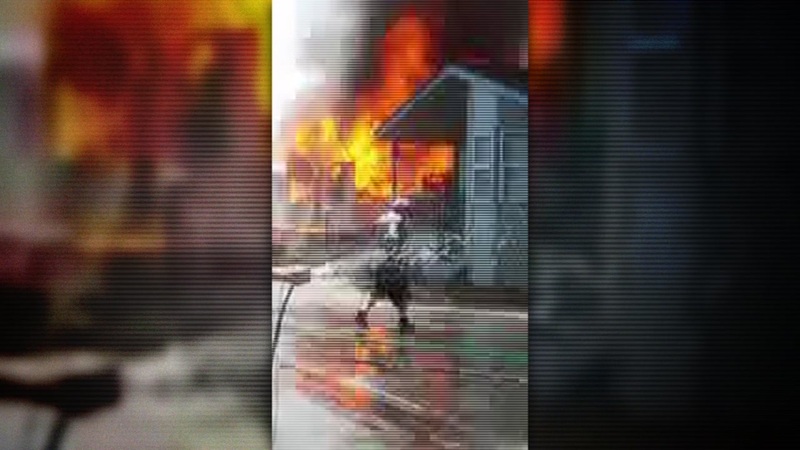 SAN JOSE, Calif. (KGO) -- Investigators with the San Jose Fire Department are looking into the cause of a fire at a north San Jose mobile home park yesterday that left three people dead, including two young girls. Officials say it appears to be accidental. Family members identified one of the victims as 10-year-old Linda Van. She lived at the Golden Wheel Mobile Home Park, but was visiting her best friend at another unit in the neighborhood when the fire happened. The identities of the two other victims, a young girl, and her older relative, were not immediately released. Van's brother, Thanh Van, 24, said she was excited to enter the fifth grade at Orchard Elementary School this week. She had spent part of her summer vacation in Vietnam to attend his wedding, as well as a family reunion. For now, it's unclear if the mobile home had working smoke detectors. However, fire officials say these types of housing units have a higher probability of burning faster because they're typically made from lightweight combustible materials. Van's parents tell ABC7 News they'll rely on their Buddhist faith to get them through this tragedy. They also said they're grateful for the outpouring of support from friends, neighbors and community members. Agents from the Bureau of Alcohol, Tobacco, Firearms and Explosives (ATF) have also been on scene throughout the day examining the charred remains of the home.